Have you heard of Denby? The Derbyshire based company have been producing pottery and ceramics in one form or another since the 1800s. First making bottles and jars, they moved into specialising in kitchenware and then the tableware that they’re known for today. At the end of last year, a group of bloggers were invited to take a tour of Denby’s very impressive factory. Over the course of the day we got to hear from and speak to their knowledgeable and talented staff, and learnt so much about their production processes – the level of detail would amaze you! After the tour, while replaying the day in my mind – I thought you might be just as interested to learn more about Denby and what goes on behind the scenes of the legendary brand. So I spoke to their very lovely PR Manager (hi Zoe!) 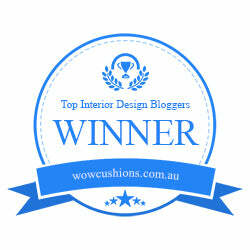 who agreed to me interviewing Senior Designer Nicola Wilson. Studied Ceramics at the University of Wales. Gained an MA in Ceramic Design from Staffordshire University. Head-hunted by Denby’s Design Director, Richard Eaton at her final degree show in 1998. Started in a surface and colour design role, then quickly worked her way up to Senior Designer. 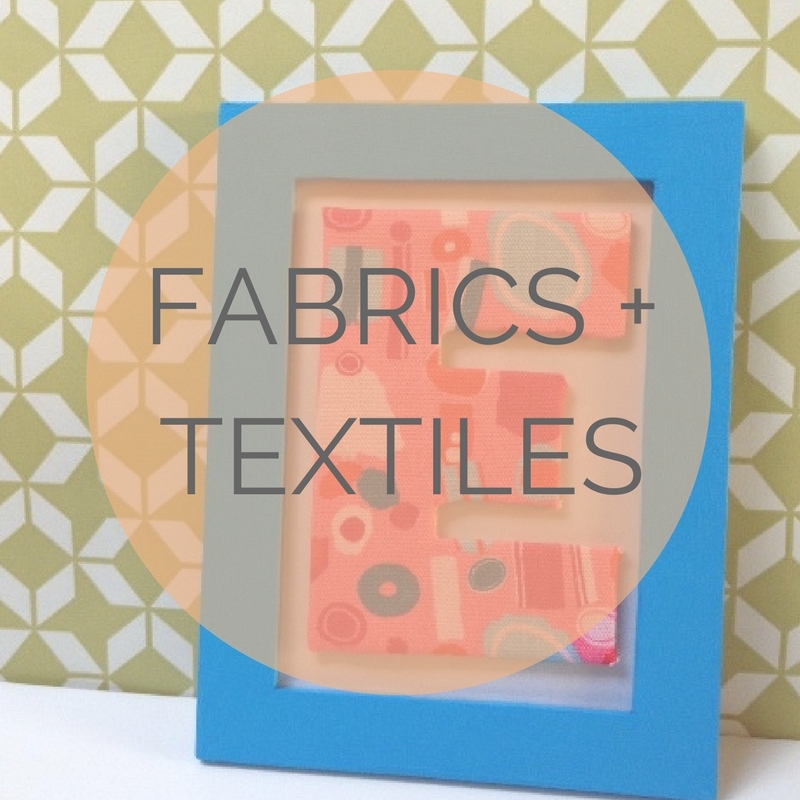 Managing Denby’s collaborative collections with fashion retailer, Monsoon. Using influences from their archives, and interpreting patterns using her knowledge and creativity to make them relevant for ceramics. 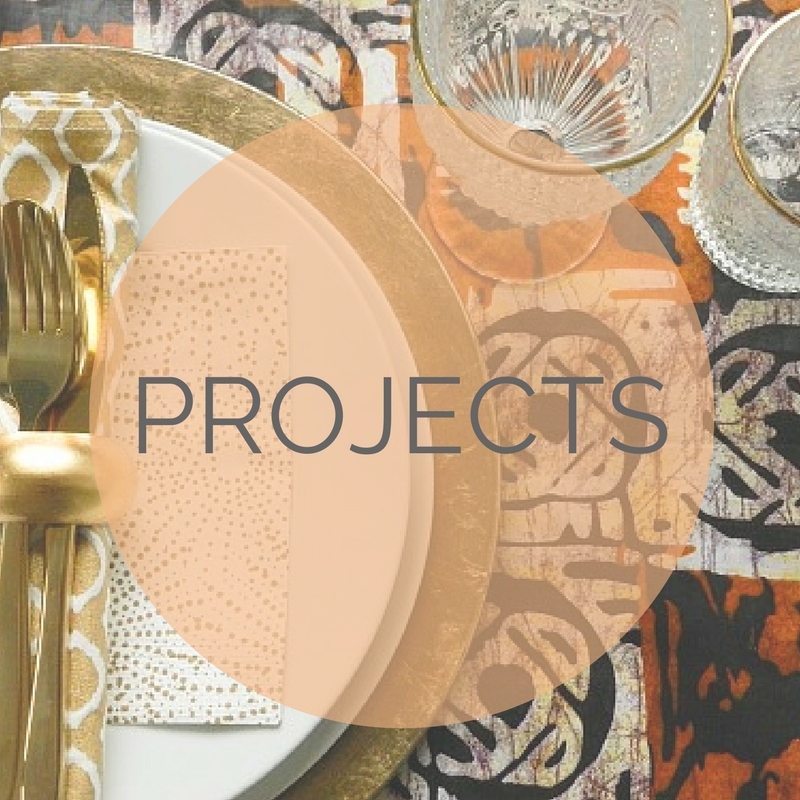 Developing designs for Denby’s thriving Asian market using inspiration from design shows, studying eating trends and habits while incorporating the intricacies of different cultures. 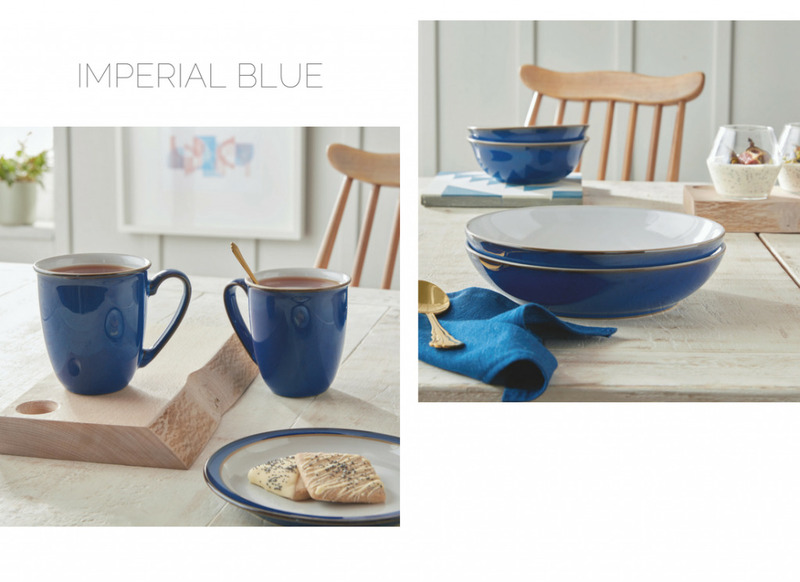 Producing a number of Denby’s best-selling collections, including glaze work on Heritage and Natural Canvas. 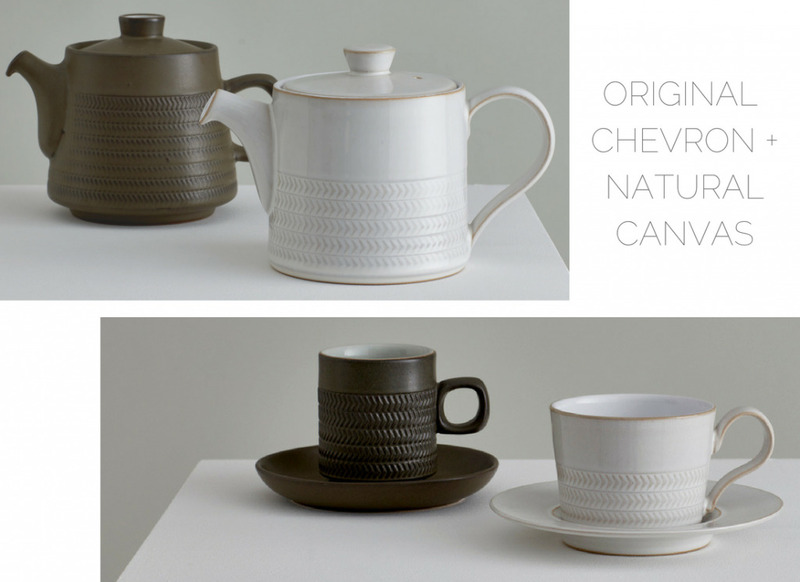 Natural Canvas was inspired by a 1960’s Denby pattern called ‘Chevron’, originally designed by Gill Pemberton. Working with the Senior Shape Designer, Nicola took Gill’s design, transformed the glaze and created a contemporary new range. 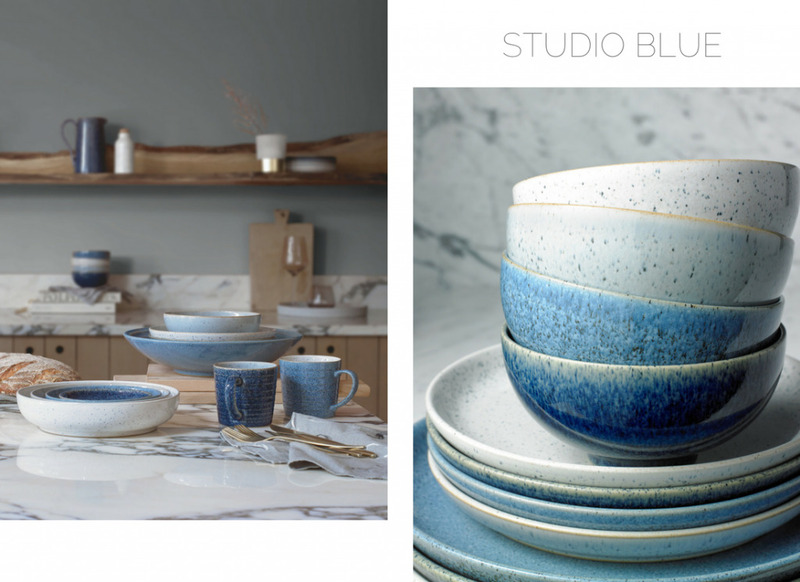 Recently producing Studio Blue – a tonal collection with glazes that reflect the colours and textures of stones and minerals. Delali: ​How long have you been at Denby? Nicola: I will have been at Denby 20 years in June. Delali: What are you (as Senior Designer) responsible for? 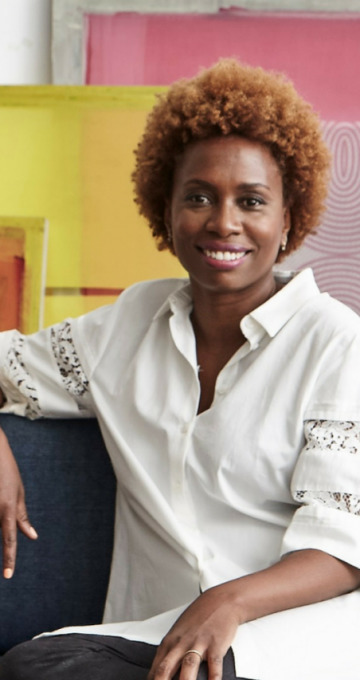 Nicola: The aim of the whole design team at Denby is to design beautiful, contemporary products that enhance food, the table, and which are versatile, practical and durable. This is across all of our products – from our amazing Made in England stoneware and signature glazes, through more recently to other materials such as glass, cutlery, cast iron, porcelain and the many other products that fit in with Denby philosophy and enhance the portfolio. 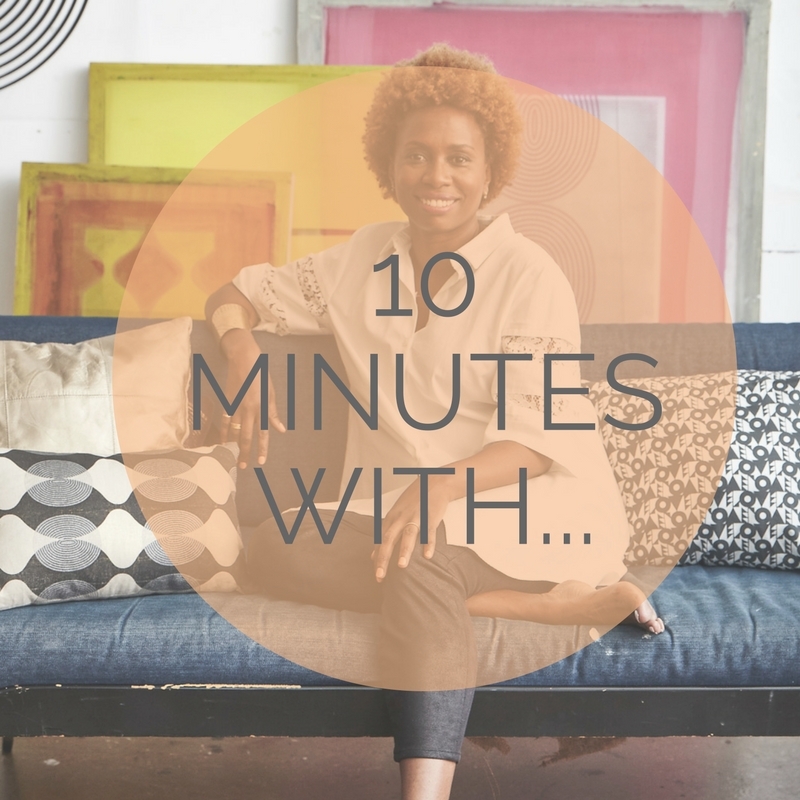 As a Senior Designer, I also work closely with the Design Director to keep the design studio working smoothly and to continually challenge the designs we produce. I’m also involved with mentoring and supporting more junior members of the team to help them understand the processes and needs of the business and our consumers/customers. Delali: How and where does your role fit into the overall design/production process? Nicola: We are at the very start of the process and our role is to set the agenda for new products. 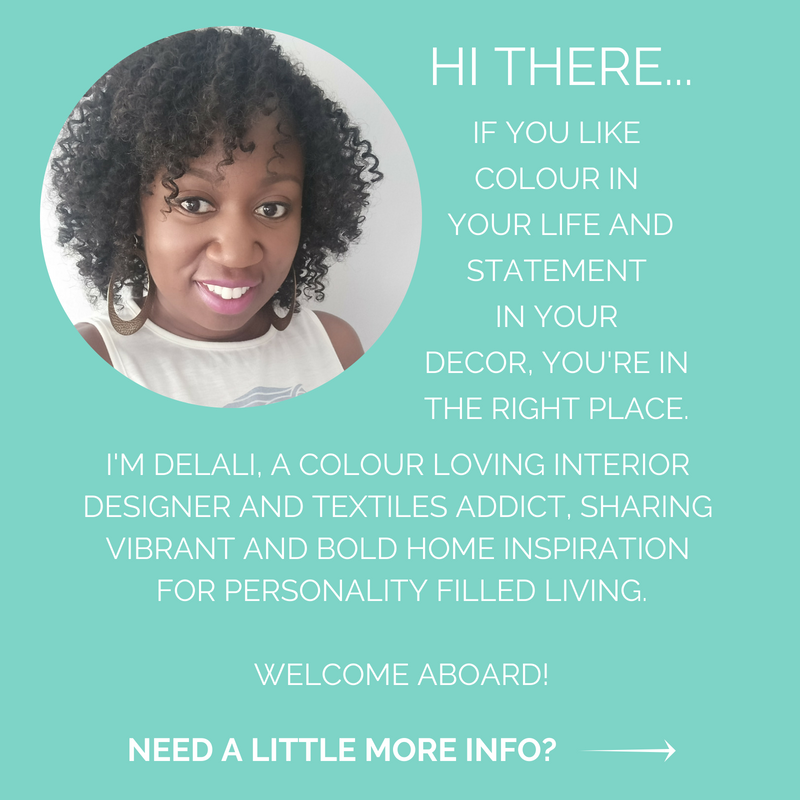 We continually look at trends in the home and interiors as well as changes in lifestyles and eating habits (both in the UK and internationally). 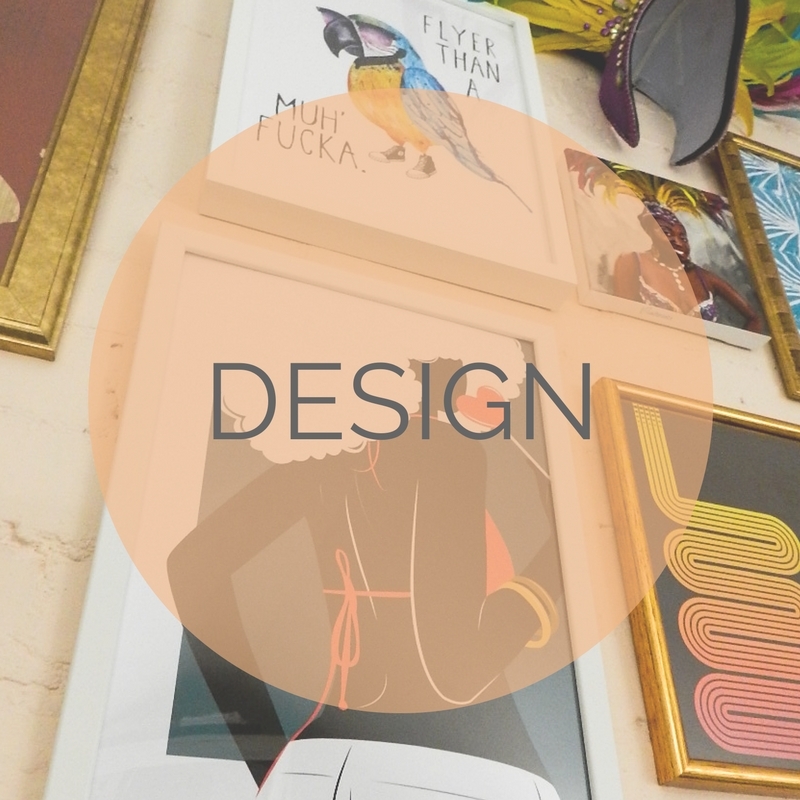 We regularly visit exhibitions, trade shows and retailers, working with the marketing team using market research and are always looking at magazines – we all love Pinterest and many of us follow blogs that inspire us. We’re lucky enough to have the stoneware factory outside our studio door and whilst we are designing, we are aware of the manufacturing process and work closely with the skilled operatives to explore new techniques or revisit historic ones. Delali: How important is colour in the creation of products? 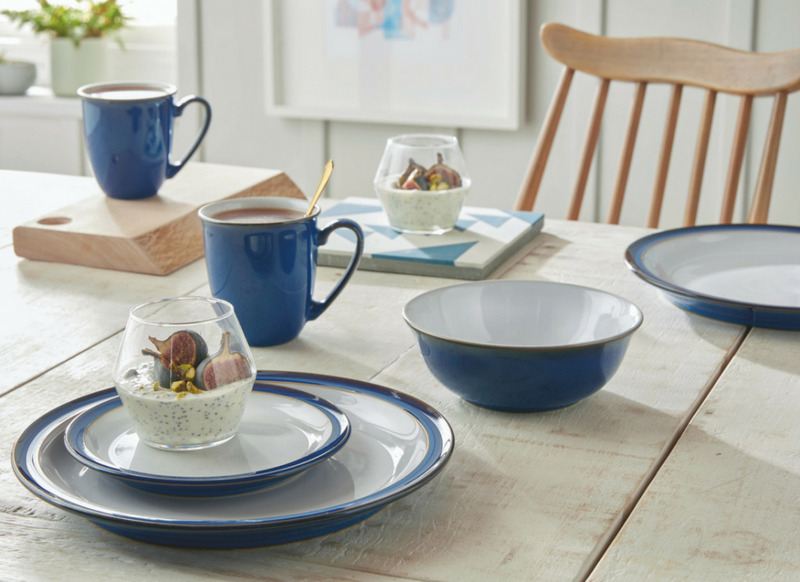 Nicola: Coloured and textured glazes are very much part of the Denby DNA and what sets us apart from anyone else. 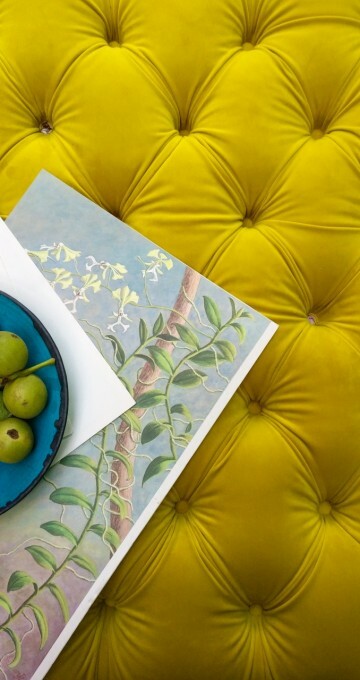 We have a specialist design glaze team who have a vast knowledge of how to create coloured glazes and we work closely together to achieve the colours and glaze textures we’re after. Many of our ranges have more than one colour in them, so an understanding of how colours work together is important. All of our desks are adorned with colour swatches and a rainbow of coloured glaze samples that we are either working with or storing away for the next project. 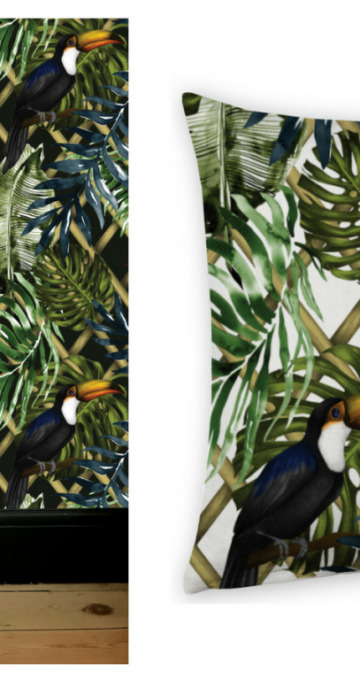 Delali: When designing, how do you balance wider industry trends while respecting the heritage of the brand – or do you generally stay away from trends? Nicola: I would say that whilst we aren’t slavish to trends, we are definitely aware of them. However, due to the longevity that our products are renowned for, we steer away from trends we see as only lasting for a season or two. We also benchmark new ranges against our current portfolio – we wouldn’t want all our ranges to suddenly be in a similar colour palette, as we want to appeal to different consumer needs. 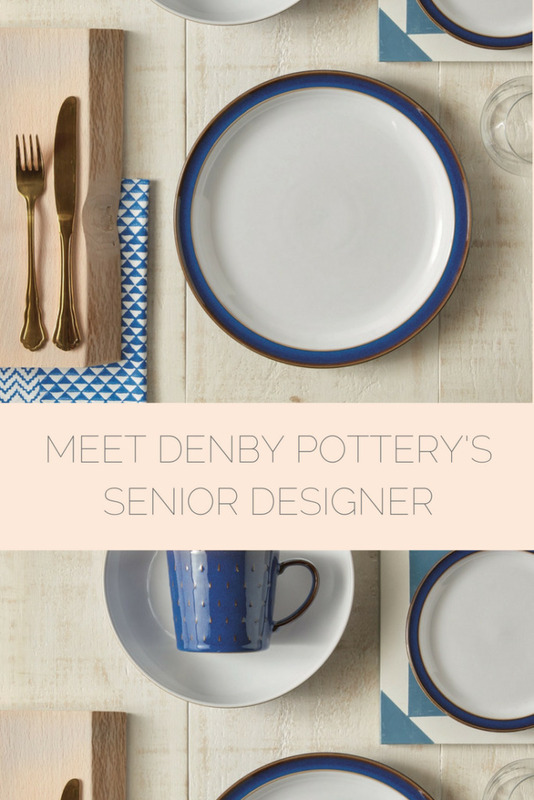 Nicola: After working at Denby for so long, I continually have new favourites and I have a very eclectic collection of Denby pieces, both new and old that I use at home. However, I am currently using pieces from our Studio Craft collection and I’ve yet to find a meal that doesn’t look great on it. Delali: Do you think the UK market will ever be ready for the bolder and more colourful ranges that you also produce? Nicola: One of our most successful patterns in the UK is Imperial Blue, which is a very zingy shade of blue and was quite an eye opener when it was first launched. 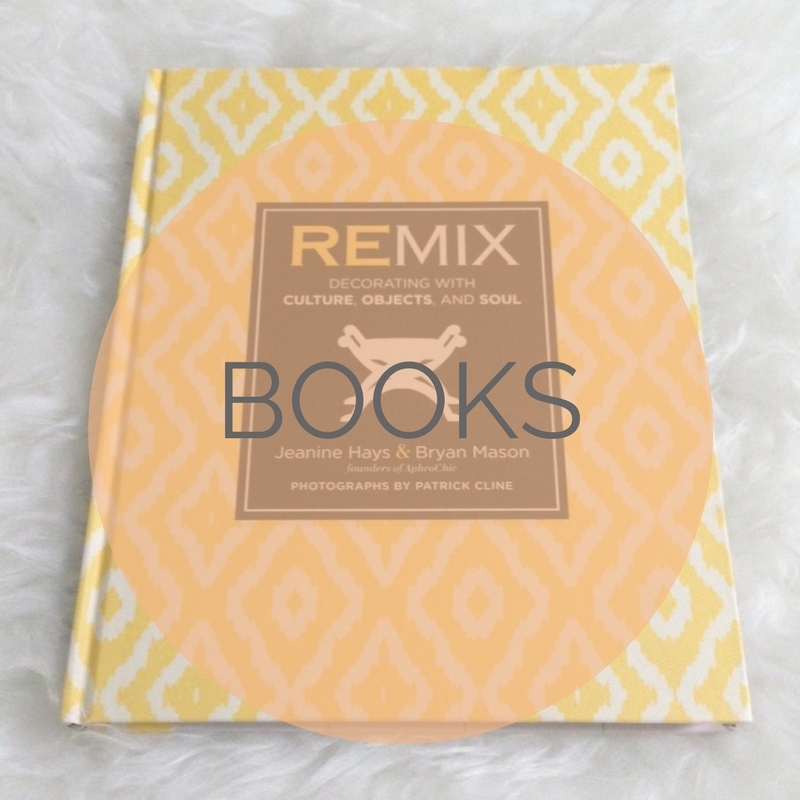 However, some of our multi-coloured ranges do seem to have more resonance in other markets. More recently however, I think we are seeing that the UK market, inspired by the current ‘artisan’ aesthetic and the styling and photography used by food bloggers, is becoming more open to adding coloured items on to their tables to really show off the food. Delali: What do you enjoy most about your job? 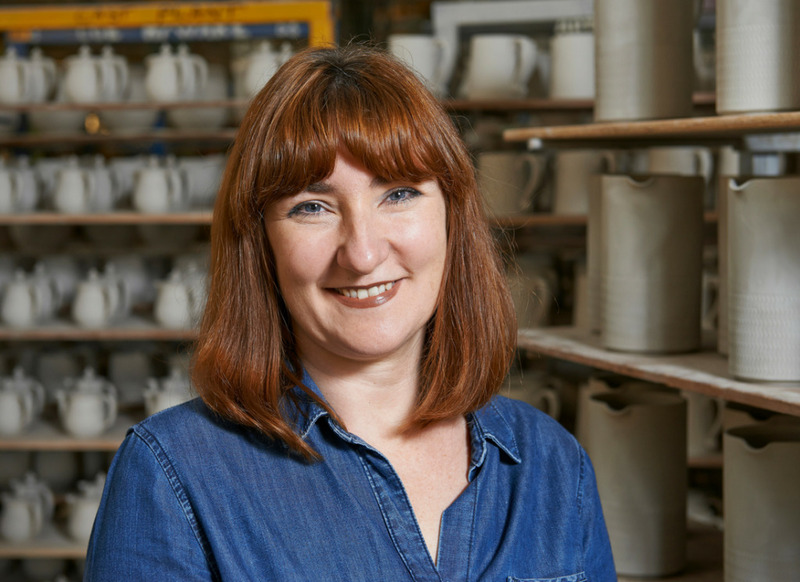 Nicola: Working with a team of highly creative people and having the history and capabilities of the Denby factory at my fingertips are some of the highlights of my job. I still get a thrill when a beautiful new glaze comes off the kiln in the morning or when a spark of inspiration hits. I also love talking to visitors about our products and I feel very proud of them. Delali: How would you describe Denby in one sentence? 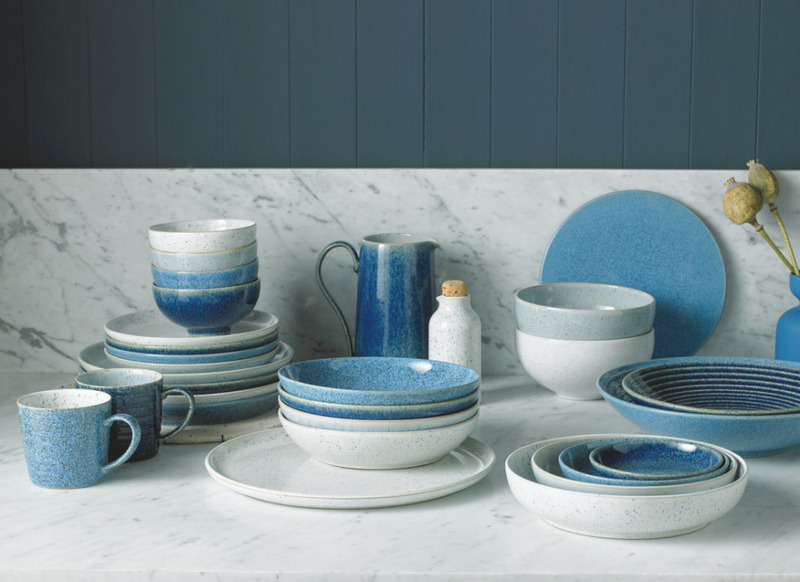 Nicola: Denby produces beautifully crafted and unique wares to enhance eating and dining experiences. Design is… creativity and knowledge combined. Visit denbypottery.com to see their full range (and be prepared to want to spend some money).